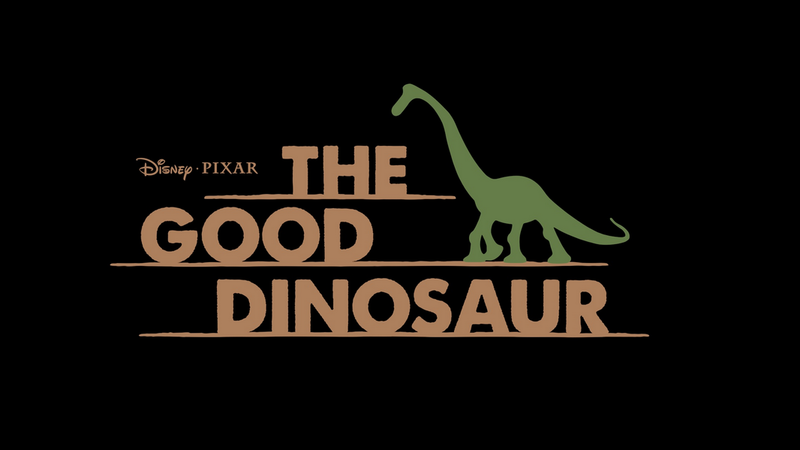 Thanks to the behind-the-scenes drama with The Good Dinosaur, which just recently lost its director, Bob Peterson, 2014 will be the first in eight years that Pixar will not be releasing a new movie. The next Pixar production has just been moved to a 2015 release date. The LA Times revealed that the animated movie will now be released on November 25, 2015, instead of June 2014. Finding Dory was originally set to be released on this date, and that film has also been moved to June 17, 2016. Taking over The Good Dinosaur‘s spot will be Maleficent, which was originally set to be released on July 2, 2014. This makes 2014 the first year since 2005 that Pixar will not have a new release in theaters. 2015, however, will have two new releases, with Inside Out and, now, The Good Dinosaur. With this shift, it appears that Inside Out will now be the next Pixar movie. That film is set to be released on June 19, 2015. There’s still an unspoken acknowledgment that DreamWorks Animation is a second-rate Pixar. But, of late, they have started to pull their weight in more and more each year. Past the tired Shrek Forever After, DreamWorks has yet to make anything below average. Tons of people fell heads-over-heels in love with How to Train Your Dragon, and, even though I’m not exactly in the same boat, it was definitely a fun, enthralling piece of entertainment. Kung Fu Panda 2, however, remains one of my favorite animated movies of the new decade and I simply cannot wait until Kung Fu Panda 3 in 2016. Meanwhile, Rise of the Guardians and The Croods, while a little formulaic, were both quite competently made and continually creative and engaging. So, their latest, Turbo, while not on the same heels as Monsters University or any other Pixar movie, still has a little bit of creditability to live up to. While not the most amazing film the DreamWorks Animation studio has produced thus far, it continues their ongoing streak of providing solid family entertainment. During every waking moment of his life, Theo, a.k.a Turbo (voiced by Ryan Reynolds), dreams of living a life bigger and better than his own. While simply a garden snail, he adores and idolizes the world of the Indy 500. In particular, he worships his hero, Guy Gagne (Bill Hader), a 5-time Indy 500 champion. Misunderstood by his peers, Turbo sets out to live outside his garden world. But, when caught inside a high-speed car during a drag race, Turbo obtains super-speed powers, along with a variety of other features. In light of this development, he gets caught up in the chance to finally live out his dream: to win the Indy 500. 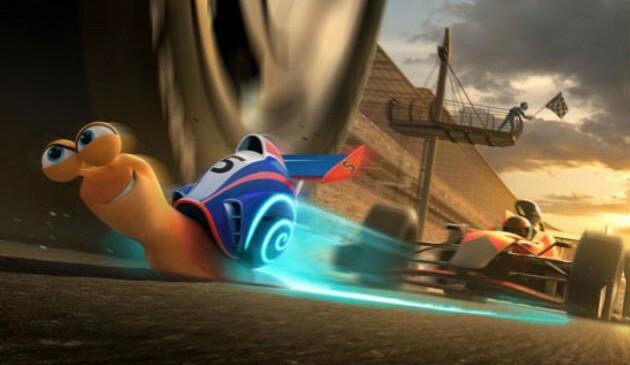 While I can confidentially say that I have never seen a movie about a racing, high-speed snail before this, there is something about it that does, indeed, sound and feel very familiar. Going in, I expected Turbo to be something along the lines of a Fast and Furious movie for young(er) boys (a little ironic, given that Fast and Furious 6 was basically a cartoon in-and-of-itself), but the movie is actually more of a hybrid of Cars, Ratatouille and A Bug’s Life. I’m sure that DreamWorks Animation loves being compared to their competition, but truthfully that’s the best comparison I can make. There are elements from each that are seen on full display here, and because of this, Turbo can’t help but feel like the some of its parts. This said, however, Turbo remains a good deal of fun to watch. For a film about a snail, Turbo is quite well paced. It’s quickly cut, but never afraid to stop to build on character and story and continues to provide the jokes and action with stride. Not every joke here lands. In fact, quite a few fall flat. There are even some mildly cringe-inducting jokes here. But the film is constantly light and quick on its feet, and never, for a second, is it ever boring. In terms of quality, Turbo falls in line, at least in the DreamWorks Animation line-up, next to the first Madagascar movie. While Turbo is a little more focused than the first Madagascar movie, at times it loses control of its plot in favor of its jokes. In this case, for better or for worse. At the same time, however, both films are greatly paced and continually likeable, if at least in a mild way. They are not the deepest, or even the most memorable, films the studio has made, but rarely are they ever boring or leave people longing for more in terms of entertainment. Much like Bee Movie, there are a variety of visually engaging action set pieces from the viewpoint of its miniature main characters. Thankfully, this movie is better than Bee Movie by a good deal. These action set pieces keep the movie alive and with a pulse, even when the comedy starts or continues to fall flat. They continue to make good use of its lavish production values, and keep the eye-candy flowing steadily. Side note: in many ways, this film sort of feels like the anti-Monsters University in terms of its message. Whereas *spoiler for Monsters University* that film’s message suggests, if mildly, that dreams, no matter how much you want them, may simply never come true *end of spoiler to Monsters University*, this message seems to believe that dreams, not matter how seemingly impossible, should be reached for. I mildly have a problem with the message of Turbo. It doesn’t affect my feelings on the film, per se, but it is a weird message in a way to give to young children. Hey kids, just remember, if you have a crazy dream, gain superpowers and they will all come true! Maybe that’s just me. Turbo has its flaws, but much like its protagonist, its constantly likeable and always eager to please. It’s not as funny as Despicable Me 2, and it is not quite as good as Monsters University or The Croods. But its got a lot of energy and, while formulaic, it has a lot of heart to boot.